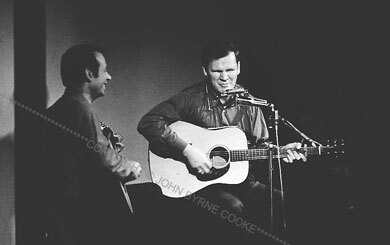 Ralph Rinzler was instrumental in bringing Clarence Ashley's "family" of traditional musicians, including Doc Watson, to the clubs and concert halls of the early-sixties folk revival. By so doing, Ralph played a big part in Doc Watson's rise to fame, which led to Doc's widespread influence on a new generation of guitar players. In addition to his many efforts on behalf of traditional music and musicians, Ralph was a member of the New York-based bluegrass band, the Greenbriar Boys.